This academic work contains the research of more than a hundred scholars from every discipline or specialization in the field of Biblical studies. It contains the most recent discoveries in the field of contemporary Biblical sciences. With more than 4,500 articles containing Greek and Hebrew terms from the original texts, and in some cases Aramaic, Sanskrit, Acadian and Latin, in addition to the numbering system of Strong's Concordance, an outline and in-depth analysis of the etymologies and semantics, every field of study linked to the Biblical text is contained in this book: * The books of the Bible: canonical, deutero-canonical, and some apocryphal; * Toponomies, populations, cities, and landscapes add historical context to the bible narrative and include the most recent findings of archaeology. * Personality profiles from the Old Testmaent, New Testament, and the intertestamental era of Biblical history, along complete and extensive information about women of the Bible. * The trades and occupations of the people in Bible times, items of daily use, their homes and furnishings. Their private lives, the education of their children, clothing and jewelry used by men and women, parental relationships, etc. 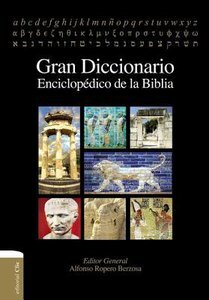 About "Gran Diccionario Enciclopdico De La Biblia (Grand Encyclopedia Dictionary Of The Spanish Bible)"